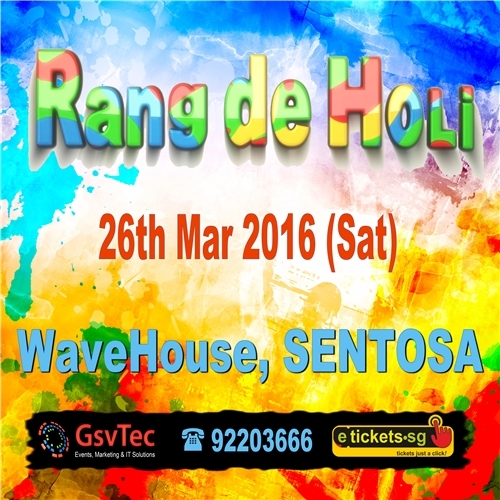 Festival of Colors Rang De holi is on 26th Mar 2016 (Sat) at WaveHouse Sentosa a multicultural event a color party for all ages not to be missed. we have exclusive offers just for you EVERY one gets a pack of Eco Friendly colour. Only 800 baggage service will be available for rental at venue fr first come first serve.Pls come with least Baggage. 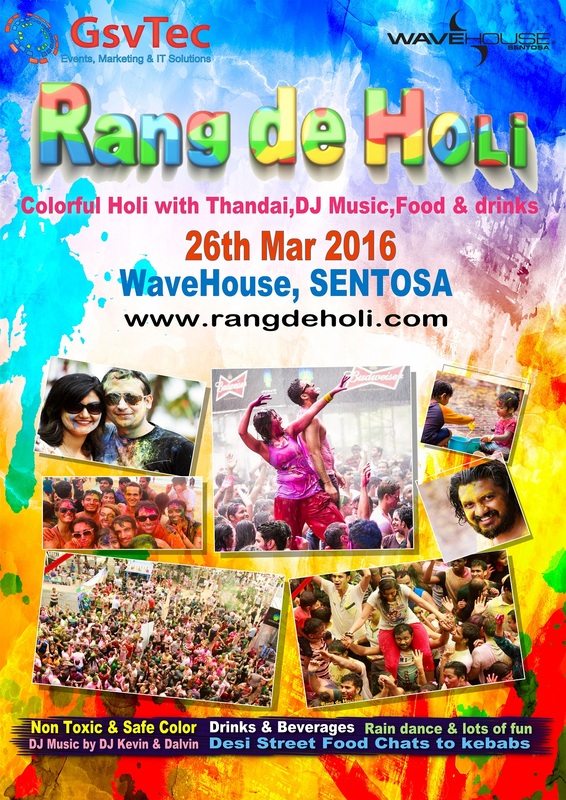 OUTSIDE colourS / FOOD OR DRINKS NOT ALLOWED will not be allowed inside the venue. Children 4 to 12 years must purchase CHILD ticket for admission. Children Above 12 Yrs Need to Purchase Adult Ticket for admission. Tickets Once Sold are non refundable and non negotiable.